There were lots of big changes recently! And I’ve been getting a few questions, so here’s how I’ve been adapting. Where I was using Guard, I now use Ironskin Brew. Especially for big predictable damage moments, like Archimonde’s Death Brand or Mannoroth’s Glaive Combo. The goal is to save 2 brew charges for a nice Ironskin -> Purifying combo. Maintenance: Balance your use of Ironskin and Purifying Brew to keep damage intake manageable. Keep Ironskin Brew active as much as possible, while saving one or two brew charges for Purifying Brew should Stagger ever reach moderate or high. Before a big attack: Prioritize Ironskin Brew to smooth that damage out, though ideally you should save two brew charges so that you can follow up with a Purifying Brew. Health drops low: If stagger is high, prioritize Purifying Brew to reduce your damage intake, though it’s still important to use Ironskin Brew if possible to reduce any incoming damage. Recharging brews: Weave your Brew usage around your other abilities. Use high stacks of Elusive Brawler, orbs of Gift of the Ox, or lulls in an encounter as an opportunity to recharge your brews. This is one of the weirder feelings for me, since monks are used to at least having Spinning Crane Kick as filler, and we only have the talented Rushing Jade Wind for filler now. What I like to do if I don’t have RJW is use Ox statue to get everything in one place, then land a big Keg Smash -> Breath of Fire on them. If you plan on doing any sustained AoE, you really should have either Ox Statue or RJW talented. It’s also worth noting that with Blackout Combo talented, you can use Breath of Fire more often with good Tiger Palm usage. I tend to use this a lot while soloing, since I can’t always have RJW talented. If you’re still struggling, keep in mind that in a few weeks we’ll get our artifact Fu Zan, and with that another pulling tool and some nice boosts to Breath of Fire and a range increase to Keg Smash. With the loss of an independent Expel Harm and multistrike for frequent Ox orbs, this is another place where we’ve seen a lot of change. Don’t discount our new Gift of the Mists talent here! It’s strong when we spend a lot of time below max health, which I find is common in 5 mans and difficult legacy raids, where external healing is limited. 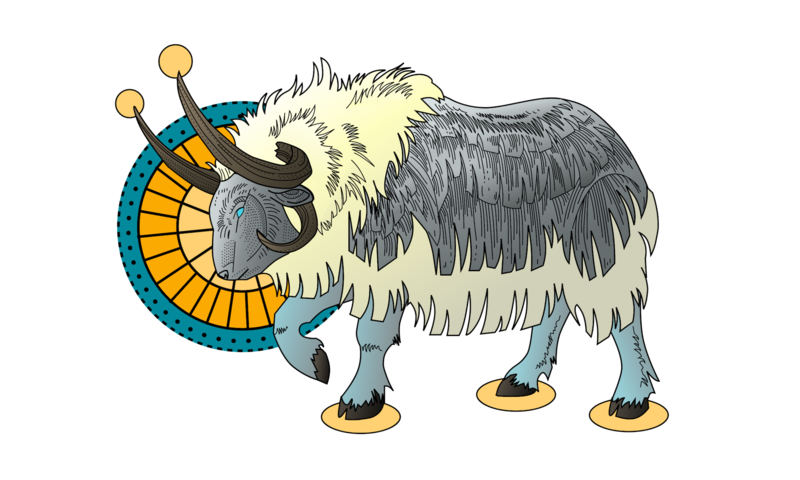 Again, our artifact has a few traits that make self healing from Ox orbs much more reliable. This will get better soon. All tanks got nerfed. However, as most people rarely experience more than one tanking class at the same level, they often think it’s just their class that feels weak. This leads to a lot of “I feel like a dps with taunt” comments that I have heard directed at literally every single tanking spec. That’s just how tanking is now, it’s not a class thing. People tend to evaluate their own class differently from others, but rarely do they experience multiple classes on the same level. They might read up on the changes of their own class, think “look at all this stuff I love that’s gone!”, then read a guide on a different class and think “wow they gain all this stuff!”. They’re not experiencing both on the same level, but they’re still trying to compare them in a vacuum, which isn’t practical. This period after we get the class changes but before we can reach the new level cap is not worth evaluating for balance. For example, Brewmasters get a lot of cool things from their artifact, more than most tanks in my opinion, so without the artifact the class feels a little weird. There are tons of other imbalances that exist for the next 4 weeks that will be totally gone after Legion launches. Change is scary, and you can always expect people react to it negatively, especially if it’s something they care deeply about. Just because people are complaining about it doesn’t mean it’s bad, it just means they haven’t adapted yet. Panic is a natural reaction, but don’t read too much into it. Warlords was not designed for Legion changes. Right now we’re a square peg trying to fit into Warlord’s round hole, and even if we can squeeze in there okay, it doesn’t feel right. It won’t feel right until the nice square Legion hole comes along. I don’t want this to come off as “don’t complain”. Give your feedback, mourn for the mechanics you loved, that’s great. But you don’t have to leave the echo chamber thinking everything is terrible. That said, balance issues are going to be a thing for the next few months. They always are. Expect many changes to numbers and minor changes to mechanics. However, don’t let the current flavor-of-the-month tank sway you. You’ll do best as the tank you’re motivated to master. Anyone who’s not at the bleeding edge of raiding can do just fine with the tank they want to play, as long as they can play that class adequately. It’s even okay if you’re not motivated to master a brewmaster anymore! Sometimes when you play a class long enough, you lose the ability to evaluate that class fairly. You have a big history to pull from, knowing how things used to be, and that biases your feelings toward it. We’re all used to having the big powerful Guard and easy Purifies, and it can be hard to step back and play the class without those things. It feels different from what you grew to love. When starting a new class, you lack that emotional history, and that can make it easier to accept change. Say you rolled a protection warrior, you might have no idea that the iconic abilities Charge and Intercept got merged into one. Even if you did know, you don’t have an emotional attachment to Charge like you might have had to Guard. You can more easily accept those changes without all that history behind them. It might be a little weird coming from a Brewmaster blog, but my goal isn’t to get everybody playing a brewmaster. My goal is to encourage those who do want to play a brewmaster. That’s probably always going to be a minority, considering the unusual fantasy of the class, inaccessibility of leveling a monk, and unique mechanics, but those things are all part of the package.